Gregory J. Bowles is GAMA’s Vice President for Global Innovation & Policy. Having joined GAMA in 2005, Greg is responsible for developing new paths for the integration of emerging general aviation technologies and assessing technological shifts that may require changes to the way general aviation aircraft are designed, manufactured, maintained, or operated. Greg promotes the implementation of best regulatory practices in key global markets and facilitates the efficient exchange of aviation products in the global marketplace. Greg manages the GAMA Electric Propulsion Innovation Committee (EPIC), which seeks to enable the design and operation of hybrid and electric aircraft in key aviation markets around the world. EPIC members include the leading global innovators with a common vision of enabling a new era in aviation. During his time at GAMA, Greg has led global reform efforts intended to revitalize general aviation; most notably, he has been instrumental in the implementation of new laws, rules, and policies for the design of small airplanes (up to 19,000 lbs and 19 passengers). Greg is currently chairing the global consensus body (ASTM F44, General Aviation Aircraft) that has enabled the transition from prescriptive regulations to internationally accepted standards for the design of these vehicles. Greg previously served as GAMA’s Director of European Affairs and Engineering based in the association’s European office in Brussels. Greg brings a broad array of real-world engineering experience from both large- and small-scale aerospace companies. Prior to joining GAMA, Greg worked as a certification engineer at Keystone Helicopter (now part of Sikorsky). In this role Greg coordinated with the U.S. Federal Aviation Administration (FAA), European Aviation Safety Authority (EASA), and various other foreign authorities on design certification activities for rotary and fixed-wing aircraft. Greg began his career as a design engineer at Cessna Aircraft Company (now part of Textron Aviation). At Cessna he worked on the engineering design, type certification, and initial production of various Citation turbine aircraft. In this role he managed environmental design and anti-ice design, and also specialized in flight line and flight test support engineering. 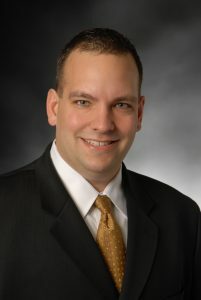 Greg holds a Bachelor of Science degree in Aerospace Engineering from Embry-Riddle Aeronautical University, a Master of Business Administration degree from Webster University, and is an elected Fellow with the Royal Aeronautical Society. Greg is an avid sailor and an active general aviation pilot operating out of the Washington, DC area. Reach Greg at +1 202-393-1500.